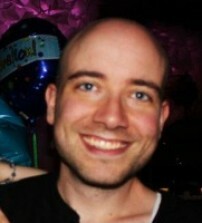 Since 2007, Chris Bumbray has served as one of the principal film critics for JoBlo.com. Born and raised in Montreal, Quebec, Canada; from a young age, Chris has been obsessed with film. After receiving his BA from Concordia University, with a double major in Journalism and Film Studies, and having worked as a marketing representative for Paramount Pictures' subsidiary in Montreal, Chris dedicated himself to pursuing his dream of being a professional film critic. To that end, Chris has repeatedly attended the Fantasia International Film Festival, The Toronto International Film Festival, and the Sundance Film Festival on behalf of JoBlo.com, in addition to reviewing all major theatrical releases. When notÂ feeding his love of cinema, Chris works as a freelance journalist in Montreal, and as copy-writer/radio producer at local radio station The Q 92 5.